Cloud software giant Salesforce will pay 300 million to merge with Salesforce.org, its external philanthropic arm that offers Salesforce software to non-profits, the company announced Monday. Salesforce also raised its fiscal 2020 revenue guidance by 150 million to 200 million, and lowered its earnings-per-share forecast by 0.20 on Monday. Salesforce will pay 300 million to merge with its external philanthropic arm Salesforce.org in a deal that will grow the software giant`s annual revenue by 150 million to 200 million, the company announced on Monday. Salesforce.org is an official Salesforce software reseller which distributes grants and puts the company`s software into the hands of nonprofits and educational organizations at a discount or for free. With the new structure, the group`s discounted sales revenue will roll into Salesforce`s topline. Rob Acker, CEO of Salesforce.org, will continue to run the unit as an industry vertical focused on non-profits and education, akin to Salesforce`s marketing cloud vertical and sales cloud vertical. 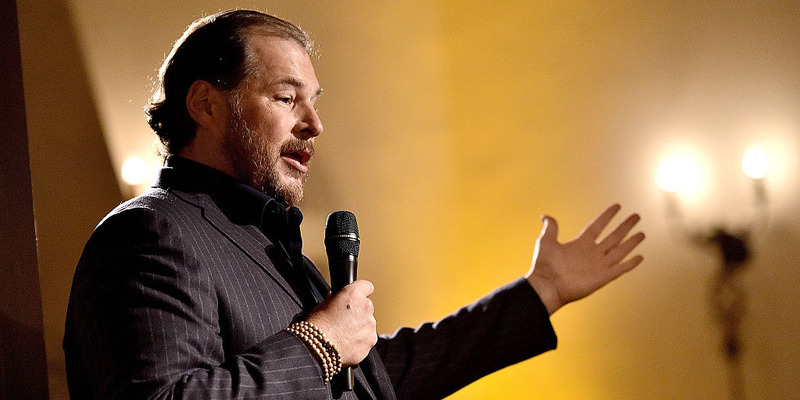 The 300 million merger fee will go to the Salesforce.com Foundation, an independent non-profit. Salesforce updated its guidance for fiscal year 2020 to reflect the merger. The company forecasts that its full year revenue will grow 150 million to 200 million because of the combination. The company said in early March that it expects to make 15.95 billion to 16.05 billion in revenue in 2020. It also expects to see adjusted earnings per share of 2.54 to 2.56 for Fiscal 2020, down from its March forecast of 2.74 to 2.76 per share.